How did you get started: I knew Nate from The Drum Shop and he invited me to the new school. I decided to try it out and I've been here ever since. Favorite thing about BJJ: If I had to pick just one thing, it would be the people I train with. I've made stronger friendships in a year than I have my whole life. Why is The Collective your home gym: Because I love having Nate as my coach and love the people who train here. And it's the closet gym to my house! Advice for someone looking to start: The amount of information, technique, and subtle details needed to thrive in BJJ are intimidating at first. Focus on adding one small thing to your game each training session and you will get better. How did you get started: I was looking for an alternative to cross-fit and the gym. When I saw a BJJ gym had opened locally, I knew there were no more excuses. Favorite thing about BJJ: The friendly competition. Rolling with the guys after my 1st class taught me more about myself in four minutes than any other activity I had ever engaged in. Why is The Collective your home gym: The camaraderie. Working with the advanced belts has improved my skill level dramatically. They are always eager to assist with tips on proper technique. Advice for someone looking to start: Don't wait! Jiu Jitsu has changed my life. I wish I had found BJJ 20 years ago. Make a 60 minute investment in yourself...take the Saturday class and see firsthand how your life can change. How did you get started: Morbid curiosity and my lifelong love of roughhousing. Why is The Collective your home gym: The Collective is my second home and the people I train with my family. Advice for someone looking to start: It is the single best decision I have ever made. This sport will change you for the better. Show up, hydrate, stay off YouTube, and keep with it. Someday it will all click. How did you get started: I came to work with Peter Fontaine for Muay Thai, stayed for a jiu-jitsu class, and got hooked! Favorite thing about BJJ: The physical and mental challenge. Why is The Collective your home gym: Great instructors. Great students. Great Environment to train! Advice for someone looking to start: Just start. Worst Case: you've lost an hour. Best Case: it will change your life! 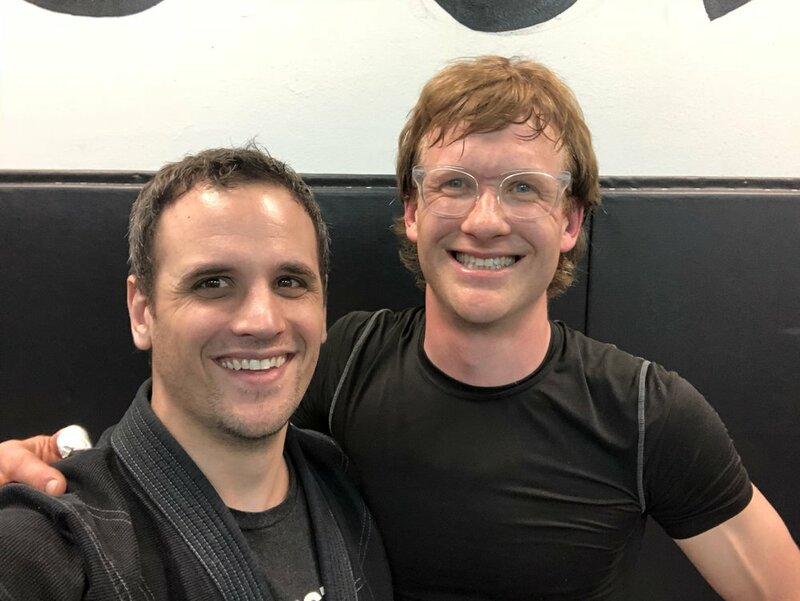 How did you get started: A friend from church offered to teach me BJJ a little over two years ago and I got absolutely hooked! Favorite thing about BJJ: Win or lose, live rolling is a great release. Learning to physically handle myself has changed the way I see the world. Why is The Collective your home gym: It's a two-minute walk from my house, great community, and I found great people there. Advice for someone looking to start: Come to The Collective, pay attention, get private classes, watch the videos from the Training Database.